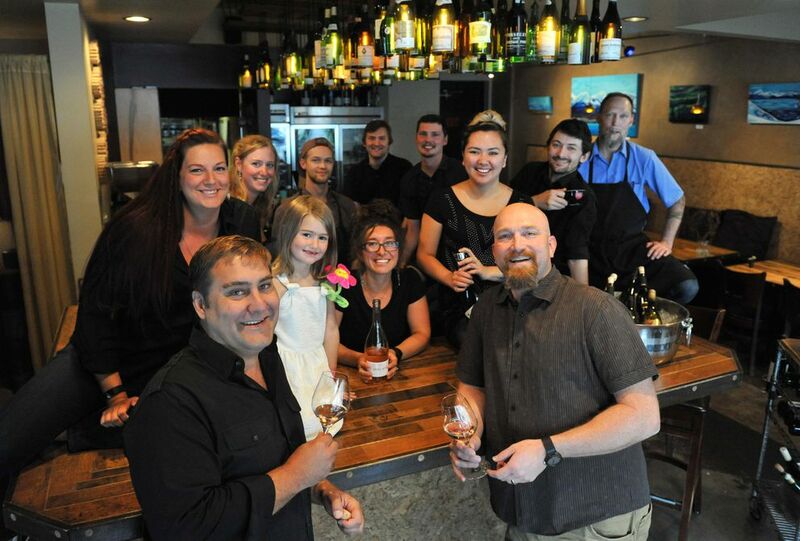 Two popular downtown Anchorage restaurants are merging, owners of the dining establishments said Friday. Sacks Cafe and Crush Wine Bistro and Cellar will "combine resources and operate as one restaurant" at Sacks Cafe on G Street, according to a press release from Locally Grown Properties LLC, the company that oversees Sacks Cafe. Additionally, Crush will take over the space next to Sacks to house its specialty bottle shop in the site formerly occupied by Artique Ltd.
Crush co-owner Robert DeLucia will assume the role of general manager of the restaurant once the transition begins. According to the press release, the merger will start Aug. 25. DeLucia said in a phone interview Friday that Crush and Locally Grown Properties will both be 50 percent owners of the new operation. Crush will close its Fifth Avenue location Aug. 25 and begin service at Sacks the same day. DeLucia is in the process of merging the two staffs of 24 people at Crush and 14 at Sacks. Sacks will retain its name, at least in the beginning. DeLucia said it's likely to be rebranded Crush this fall. 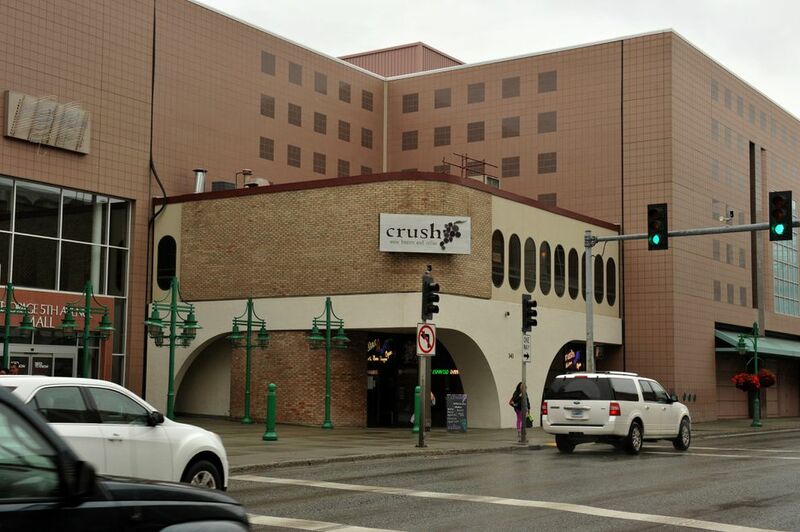 DeLucia said Crush, which first opened in 2008, has looked to move in recent years as a result of less foot traffic on what he called the "fringe" of downtown. With a lease up on Sept. 1, he entered into discussions with Laile Fairbairn, managing partner of Locally Grown Properties, which also oversees a group of popular restaurants that include Snow City Cafe, South Restaurant and Coffeehouse and Spenard Roadhouse. They have similar clientele, DeLucia said, adding that both businesses began working toward a collaboration. Fairbairn, who was traveling outside the country, was unavailable for comment Friday. 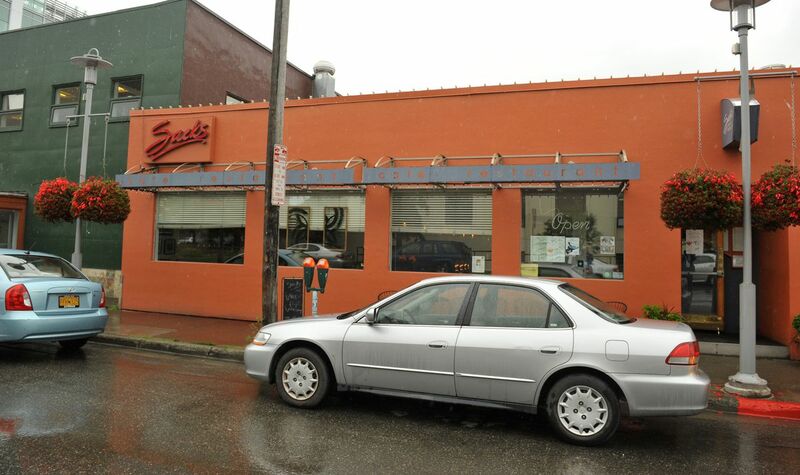 Sacks Cafe opened in Anchorage in 1983 and was purchased by Fairbairn and Joe Dugan in 2015. The LLC worked to update Sacks Cafe by remodeling the dining room and expanding the bar from just beer and wine to a full liquor license. DeLucia said Crush will retain that liquor license and begin serving its own specialty crafted cocktails. He said they'll also update the menu to more closely resemble Crush's while retaining some parts of Sacks'. DeLucia said executive chef and current general manager Shana Whitlock will not remain on staff after the transition. "You're going to see more of a Crush hand (in the menu)," DeLucia said, "but with the history and acknowledgement of what Sacks brought to the Anchorage dining scene."